Not every student can receive a (sufficient) government education grant. For such students, a KfW student loan (www.kfw-foerderbank.de) is an alternative solution. Besides advising on credit terms, the Office for Educational Support also considers all other opportunities for study financing (BAföG, education loans, etc.) We will notify you in case there is a cheaper form of study financing. This is the only way we can conform with the legal order and our own standards of providing independent advice and the best possible direct support of our students’ needs. The payment of monthly funding amounts between 100 EUR and 650 EUR usually takes place by the 10th semester. Up to four additional semesters (therefore max. 14 in total) may be funded if there is a reasonable request for the extension. Besides, citizens of a Member State of the European Union (Union citizens) can obtain a KfW student loan if they have continuously spent at least three years within the territory of the Federal Republic of Germany. Family members of German citizens and Union citizens may, irrespective of their nationality and duration of current residence in Germany, also apply for a student loan if they remain in the federal territory together with German citizens or Union citizens. Repayment begins after the end of the grace period that can vary from 6 to 23 months. The loan is repayable in monthly installments, the included interest and principal payments (annuities) should be repaid within a maximum of 25 years. are submitted to the distribution partner. 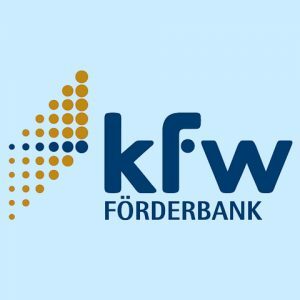 The distribution partner forwards your application to the KfW that later makes the lending decision. A prerequisite for disbursement for every next semester is the submission of a valid certificate of study for the coming semester and the semester that has already started to the distribution partner at the beginning of the semester at the latest.